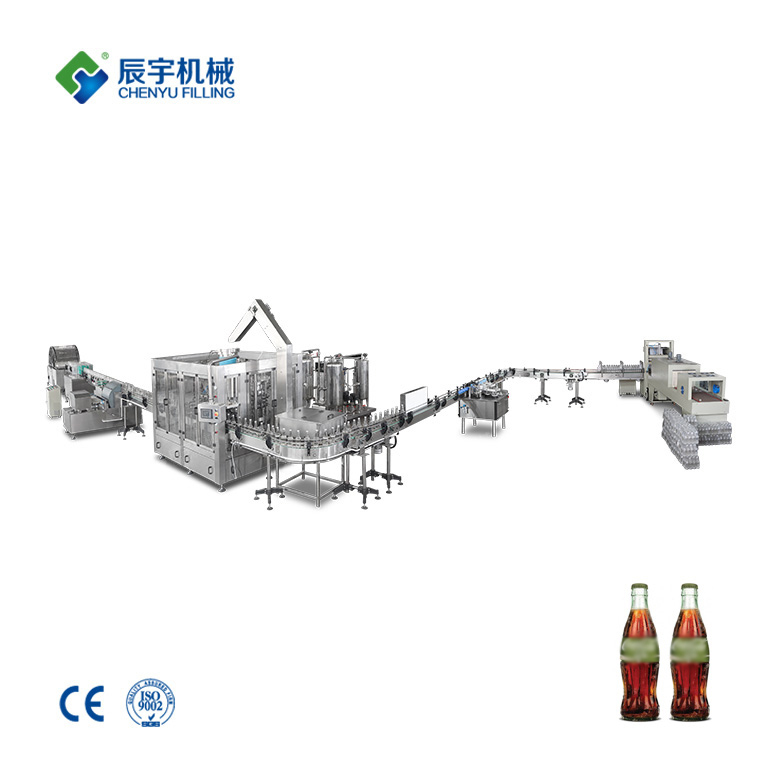 The bottle carbonated beverage filling production line is suitable for the production of glass bottles, PET bottled carbonated drinks, soda, cola, sprite, cocktails, beer and other beverages. 1. 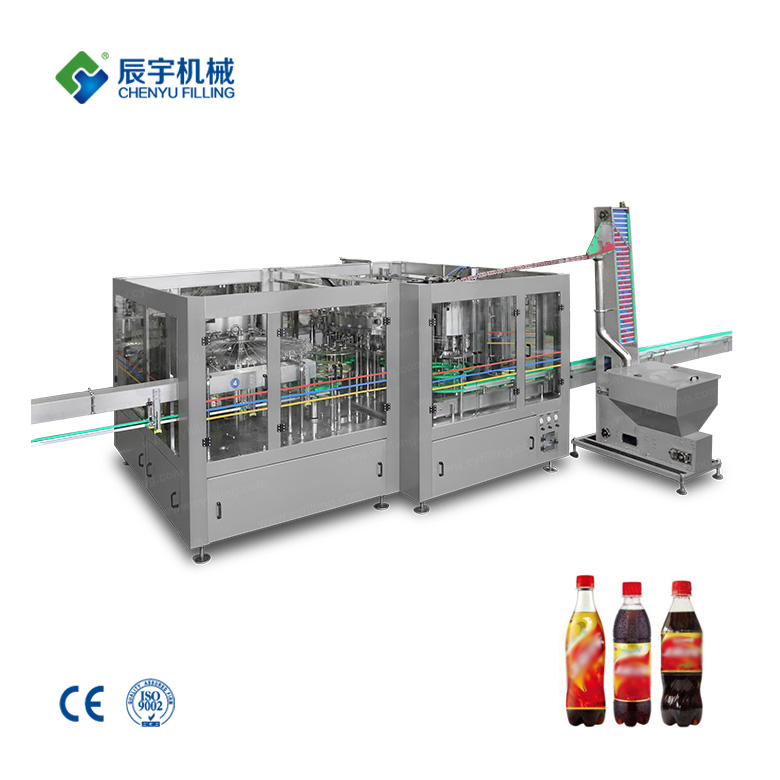 The whole machine of the bottle carbonated beverage filling production line adopts the card bottleneck suspension operation mode design, which makes the whole line running function more reliable, and overcomes the factors that the machine can not operate normally due to the bottle wall thickness and bottle height error. 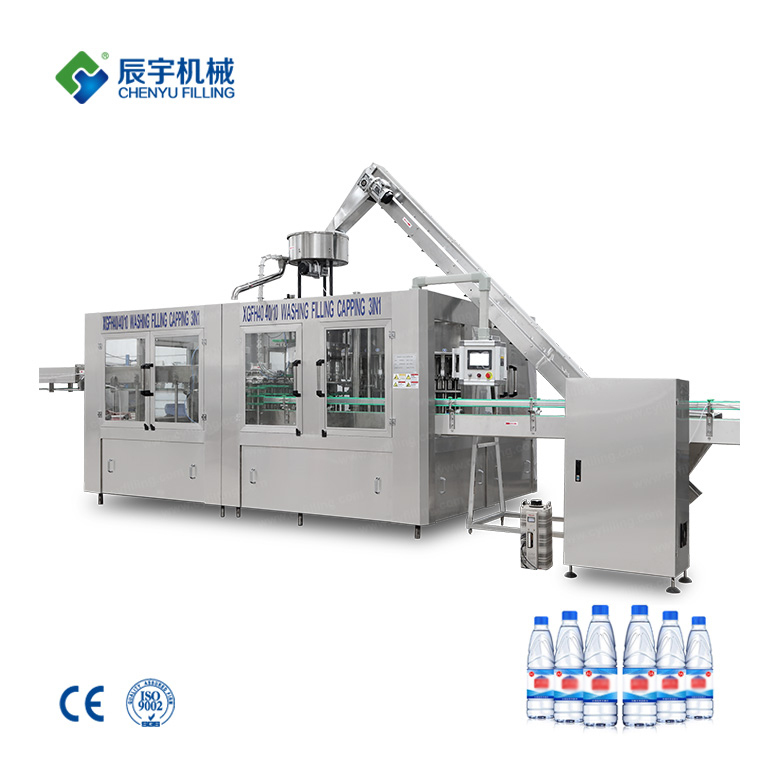 It is quick and easy to change the bottle type. 2. Introduce advanced technologies from Germany, Italy and the United States. 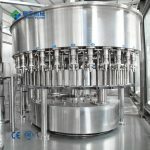 The principle of equal pressure filling is adopted, the filling speed is fast, and the liquid level control is stable. 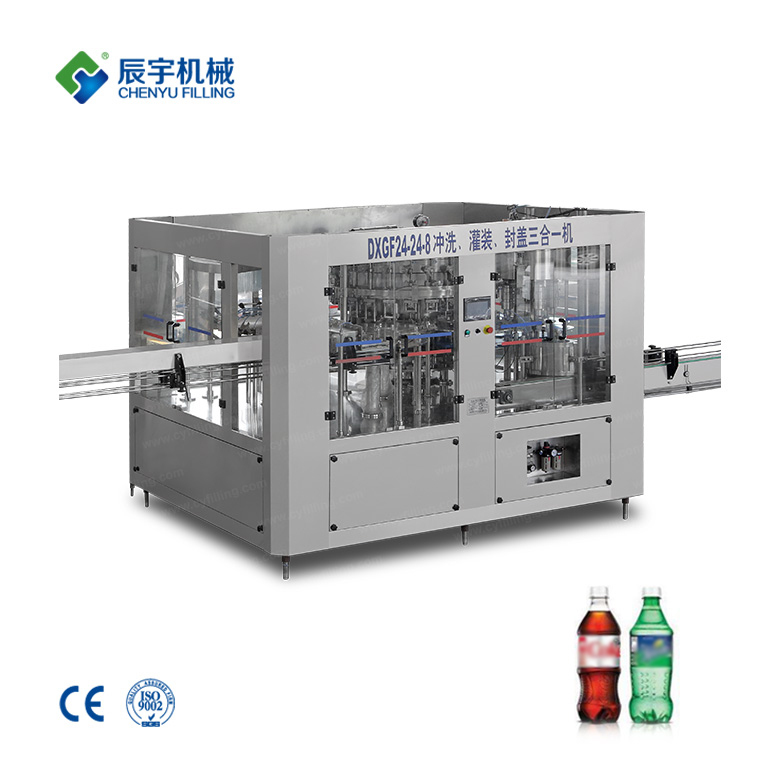 The material warehouse is fully enclosed and equipped with a CIP interface. 3. 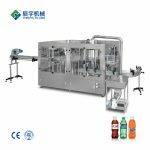 The steam-containing beverage filling machine adopts the magnetic torque type capping head to realize the capping and screwing. 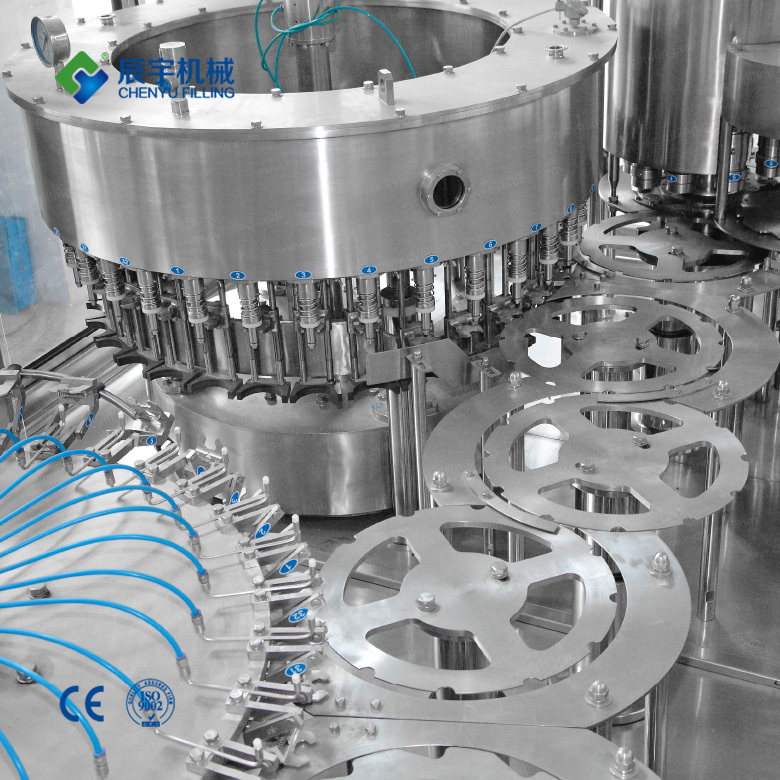 The capping torque is steplessly adjustable, and the sealing is strict and reliable. 4. 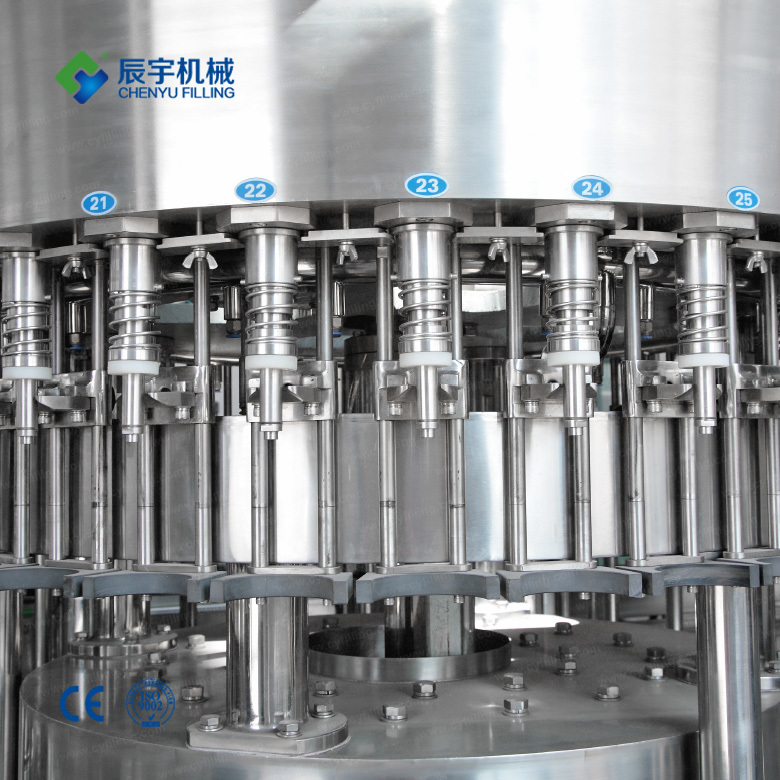 Horizontal rotary pneumatic capper has the functions of not damaging the surface of the cap, and automatically covering the cap in the hopper. 5. 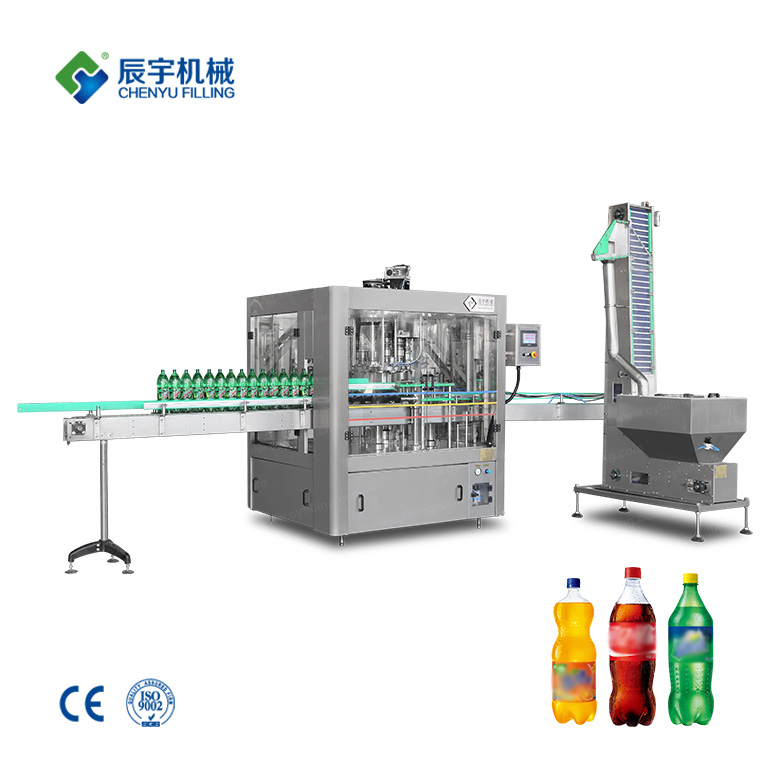 The glass bottle beverage filling production line adopts PLC computer program control and human-machine interface touch screen button, and has alarm devices such as coverless and overload protection, which can detect and eliminate faults in time, and the production automation is high. 6. A complete cleaning management system is in place to ensure the quality of the flushing before filling. 7. 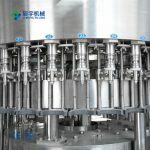 Change the shape of the bottle, just replace the star wheel and the curved plate to achieve, the operation is simple and convenient. 8. 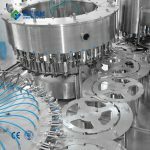 With perfect overload protection device, it can effectively protect the safety of machines and operators. 9. 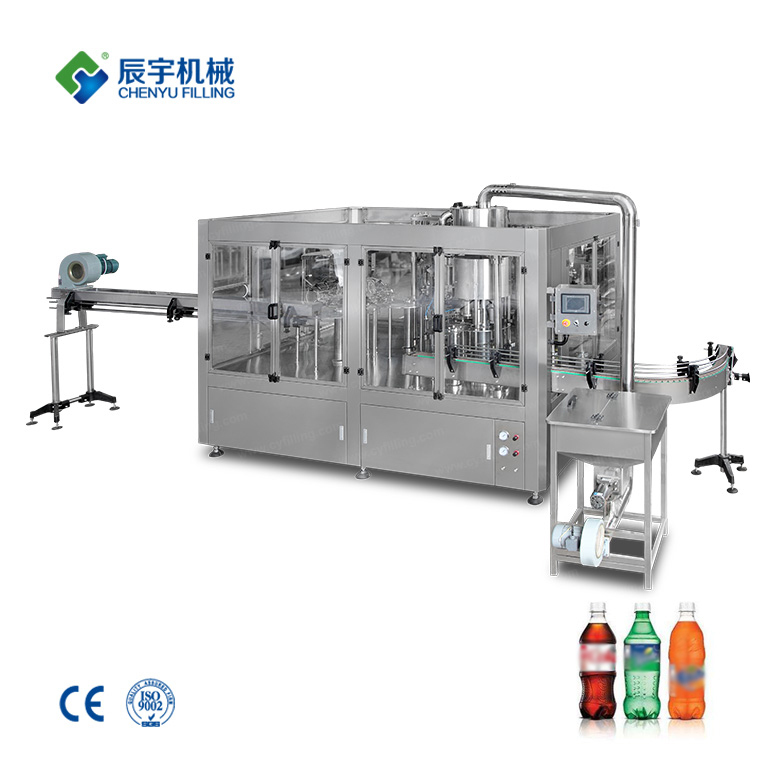 The control system of the steam beverage filling production line has the functions of automatic water level control, lack of cover detection alarm, flushing and self-stop alarm and shift production count.